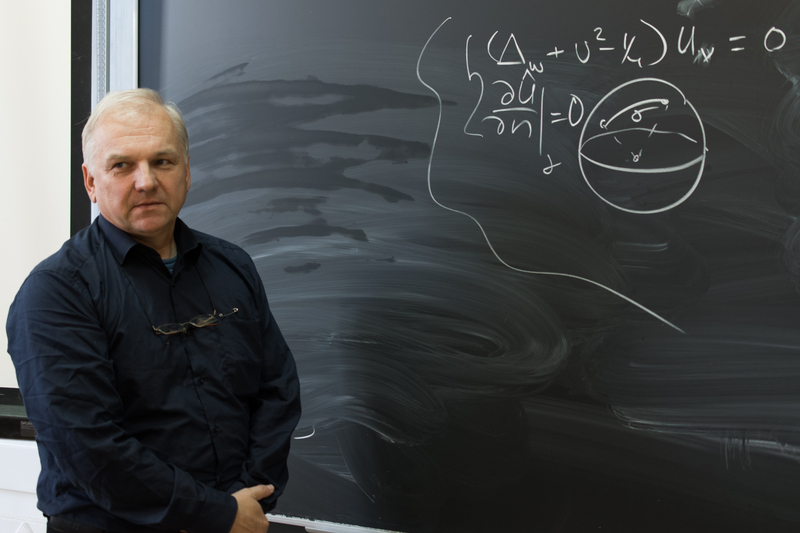 Mikhail A. Lyalinov, Electromagnetic scattering by a circular impedance cone: diffraction coefficients and surface waves, IMA Journal of Applied Mathematics (2014), P. 1 – 38 ( doi:10.1093/imamat/hxs072, to appear). Mikhail A. Lyalinov , Scattering of acoustic waves by a sector, Wave Motion 50 (2013) 739–762. Mikhail A. Lyalinov and Ning Yan Zhu, Electromagnetic Scattering of a Dipole-Field by an Impedance Wedge, Part I: Far-Field Space Waves, IEEE TRANSACTIONS ON ANTENNAS AND PROPAGATION, VOL. 61, NO. 1, JANUARY (2013), 329-336. Phenomena). Oxford, UK: Alpha Science, 2008. M.A. Lyalinov, N.Y. Zhu, Scattering of Waves by Wedges and Cones with Impedance Boundary Conditions, in: Mario Boella Series on Electromagnetism in Information & Communication, SciTech-IET, Edison, NJ, 2012. Запись опубликована 04.11.2014 автором wpadm в рубрике Преподаватели, Сотрудники.